One of the few true repertory companies in the nation! The Asolo Theater Sarasota would like you to consider this: Whether you’re transfixed by fiction, transported by the rise and fall of politicians and movie stars, or transformed by the tales of friends and family, sharing stories is a fundamental part of what it is to be human. It’s how we decide what is funny, moving, and important, and how we make sense of the world. And the stories that burn in our memories are a good indication of who we are – both as individuals and as a culture. In the theater, the power of the arts ignites to tell stories we all want and need to hear. 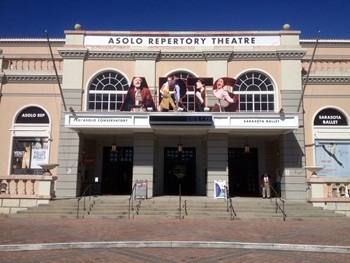 Sarasota's Asolo Rep is Florida’s premier repertory professional theater and one of the most important cultural forces in the Southeastern United States. A center for theatrical excellence, The Asolo Theater Sarasota stages up to 15 productions every season, spanning a diverse repertoire of newly commissioned plays, bold reinterpretations of contemporary and classical works, and provocative new theater experiences. 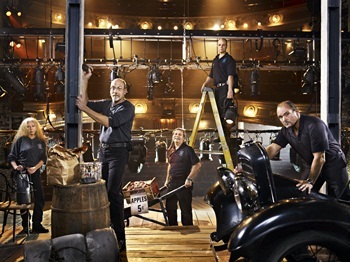 In the past the theater has staged such highly acclaimed productions as The Life of Galileo, Bonnie and Clyde, Twelve Angry Men and Once in a Lifetime. 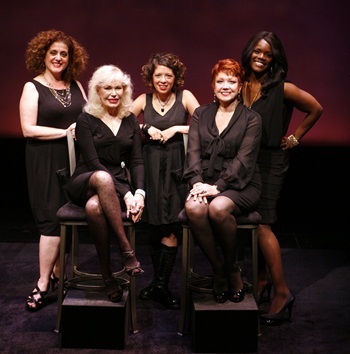 In 2012, Asolo Rep became the first regional theater in the United States to produce the off-Broadway hit, "Love, Loss and What I Wore" with the Emmy Award® winning star of M*A*S*H, Loretta Swit. 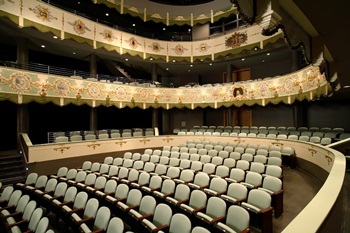 Asolo Theater Sarasota is annually the creative home of more than 100 artists, technical craftsmen, and administrative staff. Its talented and accomplished resident acting company is complemented by award-winning directors, designers, and guest artists who come to Sarasota from around the country and around the world. Under the dynamic leadership of Producing Artistic Director Michael Donald Edwards and Managing Director Linda DiGabriele, over 100,000 patrons are drawn each year to the theater's rotating repertory season. 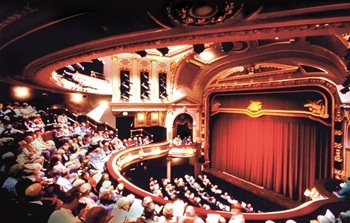 In its role as the largest professional not-for-profit theater in the U.S. south of Atlanta, The Asolo serves as a springboard for successful productions to travel to Broadway and other regional theaters throughout the country. Whether staging a new work or re-envisioning a classic, Asolo Rep creates theater that consistently surprises, entertains, challenges and inspires its audiences by inviting them to take part in shared acts of imagination. With its ambitious theatrical offerings and ground-breaking education, outreach and audience development programming, Asolo Rep is more vibrant and its work more relevant than ever before. A theater district in and of itself, Asolo Rep exists to present a diverse mix of theatrical work of the highest artistic standards and enthusiastically engage its audiences, continually ensuring its lasting legacy for future generations. Feeling like a little culture tonight? Then why not step out and enjoy the Asolo Theater Sarasota! Need more information on what’s playing right now? Give them a call at 941-351-8000 or find out more about this wonderful repertory group of thespians right here: Asolo Theater Sarasota. Location: 5555 North Tamiami Trail, Sarasota, Florida.